A plan to revitalize and expand the museum's scope and breadth was approved by City council Monday night. There could be some light at the end of the mine shaft for the Rossland Historical Museum. 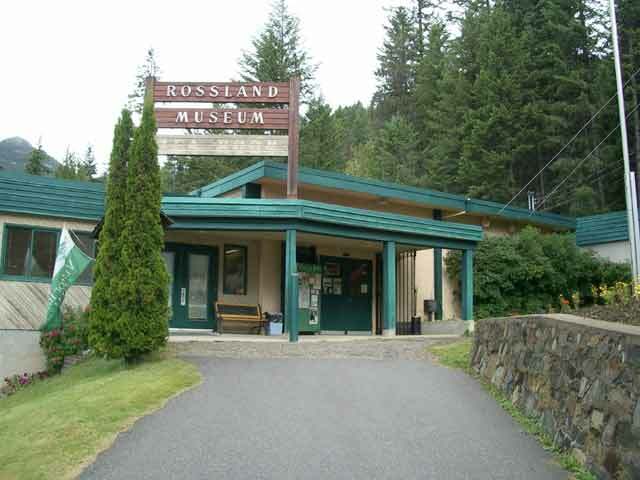 A plan to revitalize and expand the museum’s scope and breadth was approved by City council Monday night—the Rossland Museum Gateway Project Site, Facility, Operational and Sustainability Plan—paving the way for a request for proposals going out this month. With visitor numbers dropping rapidly since the gold mine tour was permanently closed in January, 2012—around 50 per cent in all—an advisory committee was struck to investigate new ways to prop up the ailing institution. The Rossland Museum Gateway Project (RMGP) was created through that process, arising out of a stakeholder driven initiative that began in 2012 to revitalize the museum, “enliven its connection with the community, strengthen its value to the local and regional cultural economy” and solidify its role as a resource for the community’s heritage. With broad-based community support and council’s blessing, the RMGP now seeks a consultant to identify and recommend the next steps in the development process for the museum. He said the project has been vetted through Teck Metals Ltd. (Teck) corporate and legal departments. “So this RFP has been through Teck, through the mill,” Granstrom said. Prior to the start of the 2010 operating season, Teck suspended access to the mine, citing issues of safety and liability. The Museum Gateway Project advisory committee, including the Rossland Museum Association, the City and Teck Metals Ltd, completed its due diligence and drafted the request for proposal to be sent out by the end of April. The bid process will end June 14 with the contract awarded July 31. Councillor Kathy Moore said the project did not sound like a modest proposal and a corresponding budget should be set and announced to reflect its nature. “I just don’t want to see us have our expectations dashed,” she said. “That has been vetted through museum professionals,” said Granstrom of the scope of the project, “and they believe that is all possible, feasible and very doable” within any budget. The work is expected to draw upon the expertise of consultant Mike Stolte with limited engagement from the community. An interim report will be filed Sept. 30 with the final report delivered by Nov. 15. There is no cost associated with sending out the request for proposal and posting on BCBid. Teck Metals Ltd has funded the initiative to date. Site and facilities analysis will identify the risks and gaps, as well as the potential of the framework and the overall look and feel of the site. Operational components of collections, exhibitions, programming, governance and management will be examined, and a plan will be recommended to revitalize the institution. Sustainability considerations will explore options for capital development and recommend a locally-informed and long-term operational funding formulae. Located at the junction of Highways 3B and 22, the museum site measures approximately five acres. The site’s museum facilities, operational functions and historical assets are found across three levels—parking and entrance, museum/head frame/compressor park and upper terrace mine entrance and outbuildings. The site presents the visitor with a unique mix of museum and built heritage. The proponent will assess and evaluate site characteristics with consideration to: maximizing public access; ensuring public and staff safety; improving collections and site security; supporting efficient facility maintenance and management; and enhancing site visibility.